Any GED test taker who has spent enough time browsing the web will come across an abundance of study material, including but not limited to GED practice questions and tests. Individuals who have a fundamental grasp on the material tested on in the GED and simply needs a study aid can find various online GED study guides, some free, and some that require money. Whether or not you want to pay for one, though, depends on how ready you are for the GED exam. Like most things, when you pay for a product you get better quality material. The same can be said for Online GED study guides. The online GED study guides that you need to buy usually have information mapped out very clearly, designed to make your studying more efficient by making it easy to review to information you need to review and skipping the information you already know. Majority of these study guides also contain valuable tips and techniques to help a test taker work through the GED exam faster and save time. Since everything you need to know is in the study guide, you don’t need to search around for information. With that said, it doesn’t mean that the free online GED study guides are bad either; they may just not be as detailed. Those study guides are still very useful though. For example, the free GED study guide by Study Guide Zone, found at www.studyguidezone.com, lists an average of eighteen different tips and techniques for all five subject categories of the GED test. 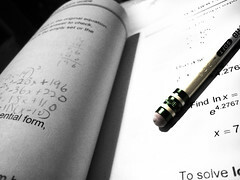 Although the study guide itself does not contain any more information that that, it provides links to other sites for GED practice questions, study techniques, and even financial aid information. As mentioned before, whether or not you want to invest in an online GED study guide depends on your readiness for the GED exam. It is completely possible to pass the GED exam using a free online study guide, but only if you already understand the material. A study guide is not meant to help people learn, but to help people review. Those who need to brush up on the GED material are more recommended to purchase an online study guide, since it will contain more information. After all, it’s better to spend twenty dollars for GED study guide rather than another seventy-five dollars for GED test registration after a failed first attempt.